Our only goal is to provide any kind of dental care you could possibly need. Sound like a challenge? Well, we’re up for it! Thanks to our wide variety of services, whether you need routine preventive care, complex restorative care, or something more advanced, you can always rely on your dentist in Somers, either Dr. Chimmiri or Dr. Deros. 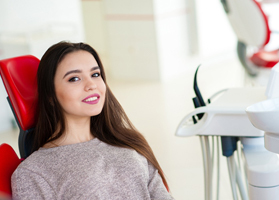 With our years of experience and helpful tools like digital x-rays and intraoral cameras, you can trust that you’ll only receive the absolute best that dentistry has to offer. No matter what you need, the end result will always be a healthy, beautiful smile. Below, you’ll be able to learn about all of the great services our office offers our new and returning patients. This is the key to maintaining a great smile! Prevention is always better than having to go back and fix a damaged smile. That’s why our office offers advanced technology like digital dental x-rays to comprehensively examine the inner and outer workings of your mouth and address any concerns that we notice. Our dentists will also professionally clean between each and every tooth you have as well as below the gum line. Finally, we will complete your preventive appointments with a customized dental treatment plan that personally meets each and every one of your needs within your budget. This excellent dental work is for adults and children alike! 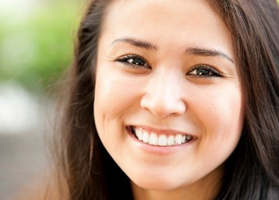 If you have a smile that you’re not proud of, you can achieve a better one with the help of cosmetic dentistry. By simply improving the appearance of your teeth and gums, you can feel much better about yourself. Whether you need to brighten your teeth with professional-grade teeth whitening or mask multiple flaws with the help of porcelain veneers, you can rely on your cosmetic dentist in Somers to help you reach your smile goals. It’s not ideal, but smile damage happens. In the case that your teeth become broken or lost, your dentist can help you recover your complete smile. In fact, we have dental restorations that will personally address just about any and every dental problem! If you have one missing tooth, explore replacing it with a simple dental crown. If you or a loved one are experience severe tooth loss, learn more about dental implants and combining them with other dental prosthetics. Life happens and sometimes accidents occur. In the case that your smile is affected in an accident or injury, you need a practice that you can rely on! Four Town Dental wants to let you know that you can get the dental care and advice in your time of need by simply giving us a call. We can help you address a knocked-out tooth, extreme toothache, or even damaged dental work. 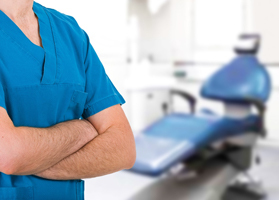 There are cases that require extra attention, a special procedure, or even oral surgery. In the case that you experience a rare dental issue like an abscessed tooth or have sleep apnea, you can receive the specialized services that you need to recover your oral health. If you’re looking for a practice to call your dental home, look no further than Four Town Dental! We would be happy to help you achieve and maintain your optimal dental health. Contact us today to schedule your appointment.